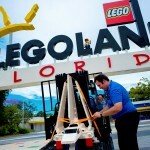 The first major models for LEGOLAND Florida’s newest expansion have arrived at the park. 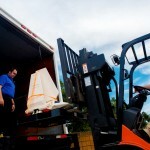 Massive LEGO Star Wars models such as the Lambda Shuttle, an iconic spacecraft found in Episode VI Return of the Jedi, have arrived at LEGOLAND Florida and model builders are busy making final adjustments and constructing the animations that are being installed in Miniland USA’s new cluster, LEGO Star Wars Miniland Model Display. “With over 1.5 million LEGO bricks to be constructed, this project required the assistance of our counterparts across the world. 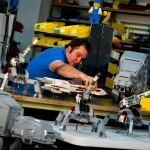 The LEGO Star Wars Miniland models were built in model shops in Germany and California. 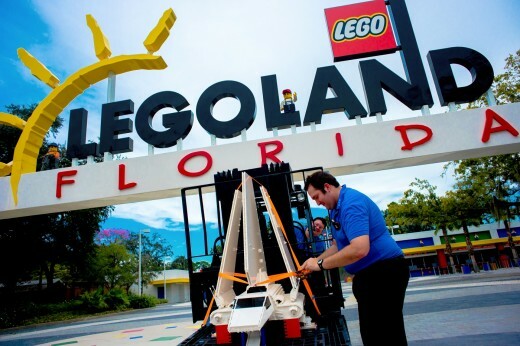 We have now received all 2,000 models that will make up the new Miniland USA cluster and have begun installation,” said Sam Dalessandro, Model Shop Supervisor at LEGOLAND Florida. The new LEGO Star Wars Miniland display area will include a scene from each of the six live-action Star Wars movies, as well as a scene from the animated series Star Wars: The Clone Wars all created from more than 1.5 million LEGO bricks and built in 1:20 scale. Following a chronological path through the Star Wars timeline, guests will retrace the major events of the beloved Saga. 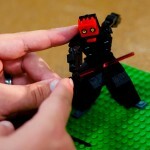 Some of the 2,000 LEGO® models will be more than 6-feet-tall. Interactive buttons will allow children to activate animations throughout the scenes. The latest expansion of the LEGO Star Wars Miniland display area is scheduled to open November 9 and will no doubt be a popular addition to the park.